Designed and hand made in the UK. 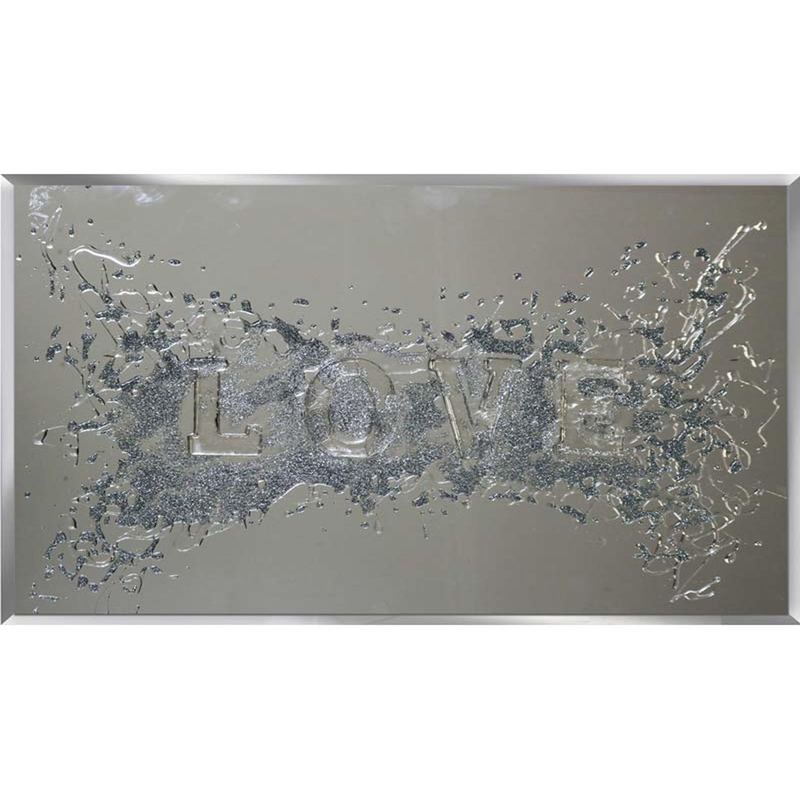 Feel a lot more at home with this stunning Silver Glitter Embossed Love on Mirror. Designed and hand made in the UK and also available in custom sizes. This piece features a silver background with a splash of sliver glitter in the centre of the design, with the writing of 'love' engraved under the glitter. A chic and stylish piece to give your home a sentimental moment while keeping the style. Custom sizes are also available. For further information on pricing, please contact our office on 01642 455589.